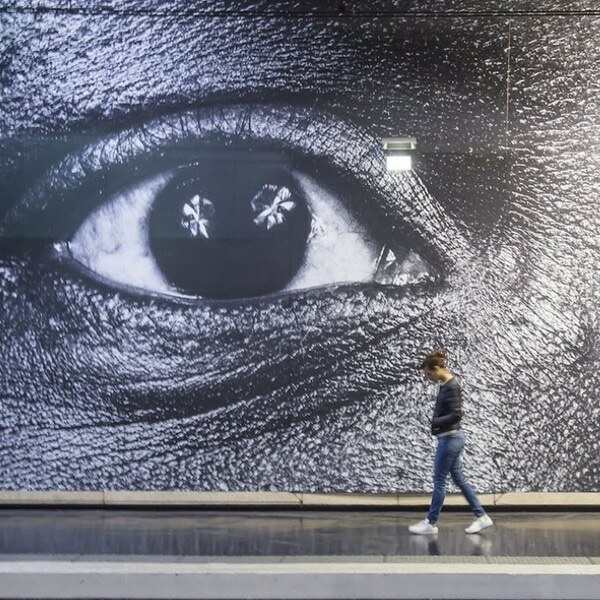 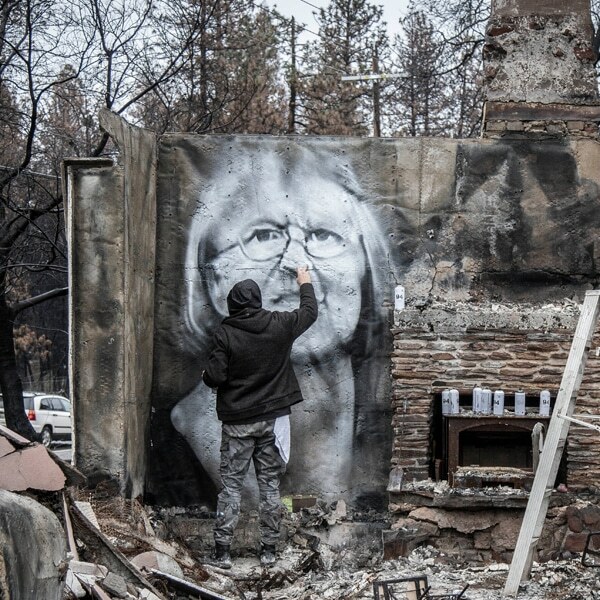 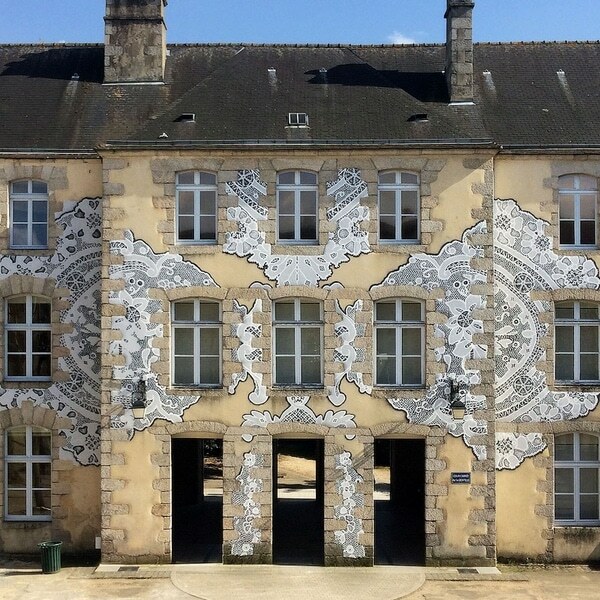 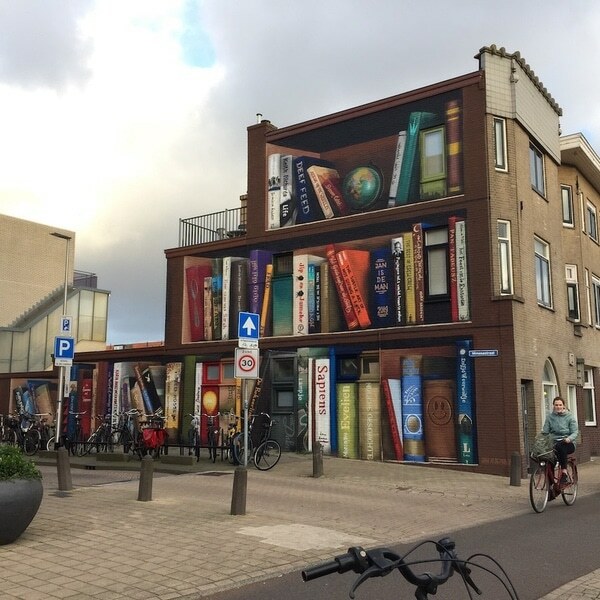 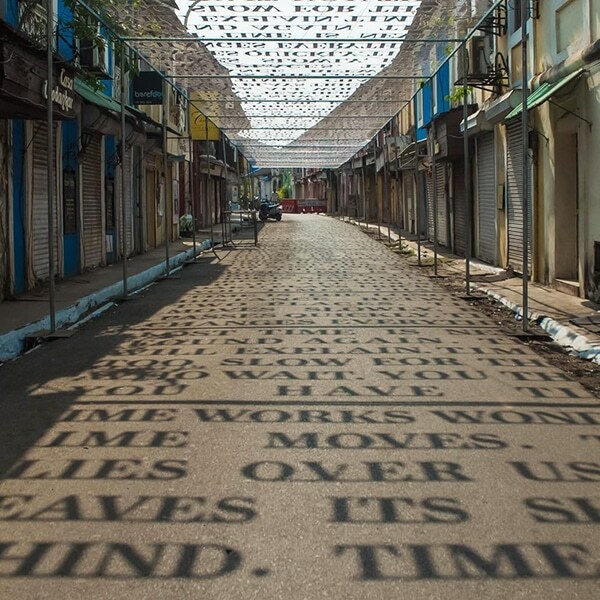 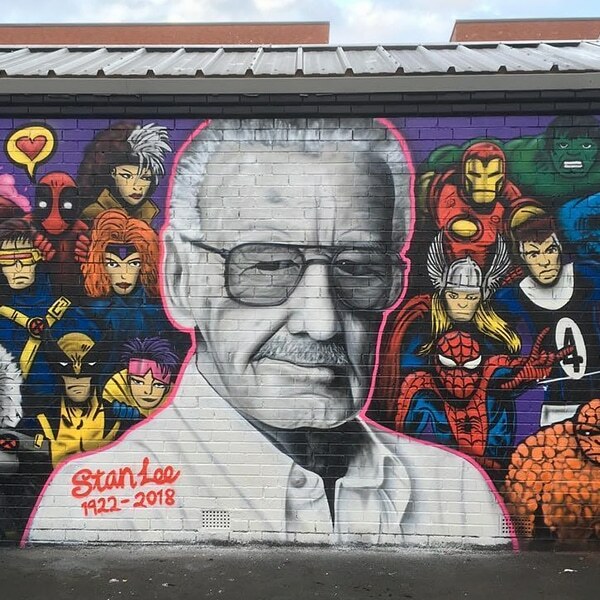 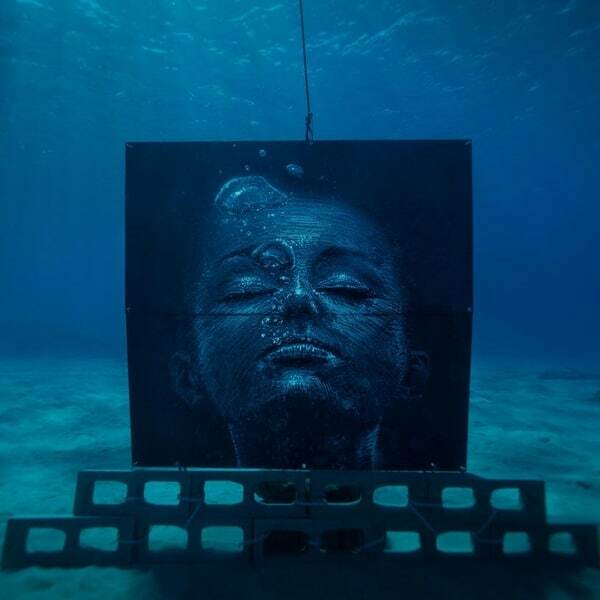 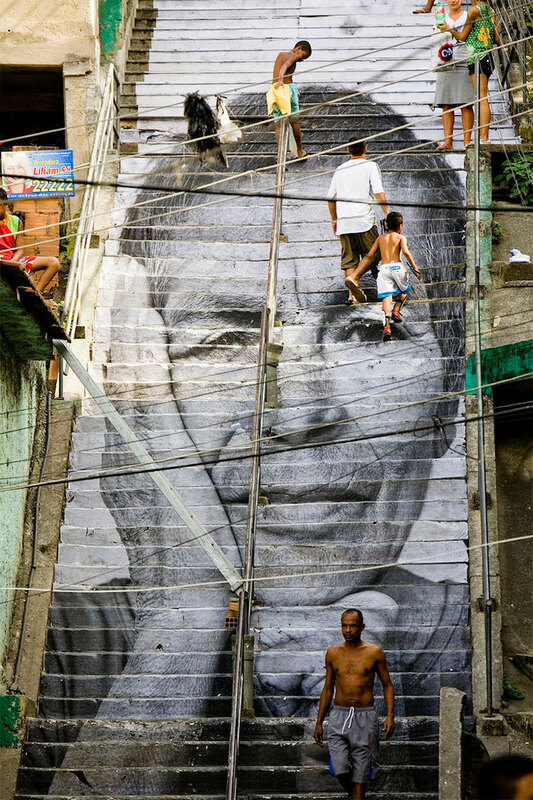 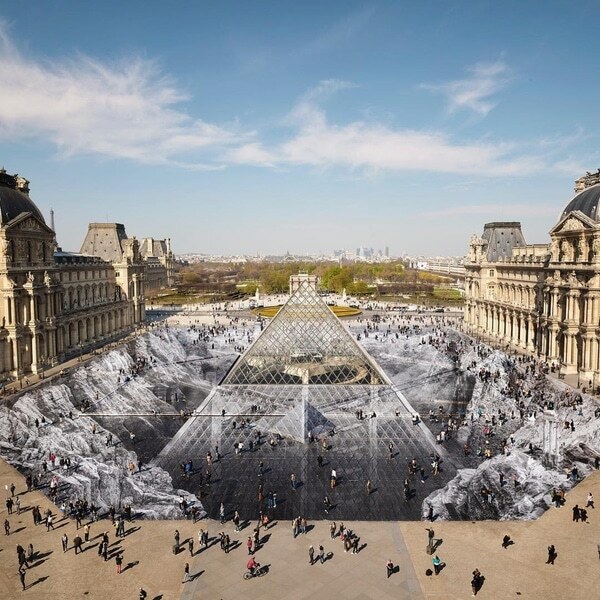 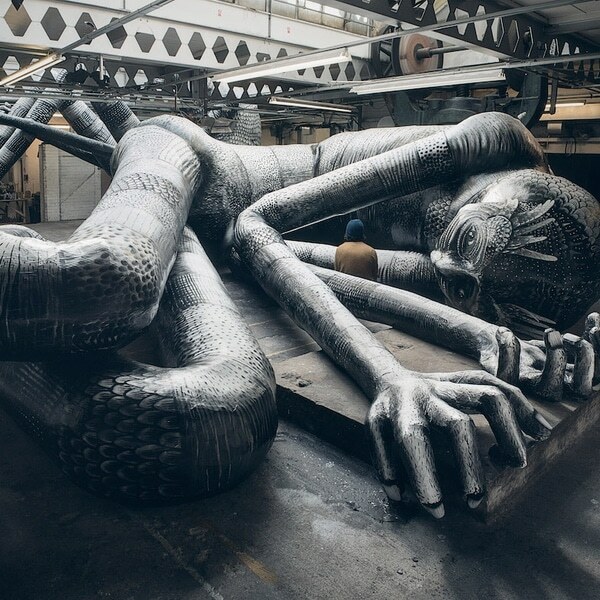 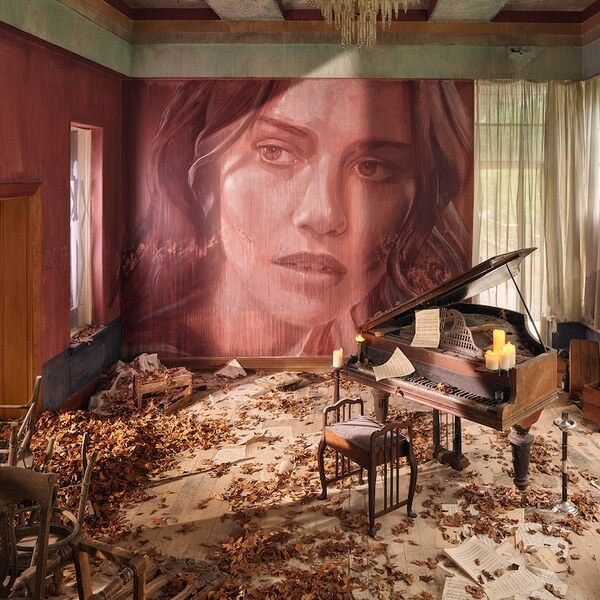 Street art is best known as murals that cover entire walls—and sometimes even the buildings themselves. 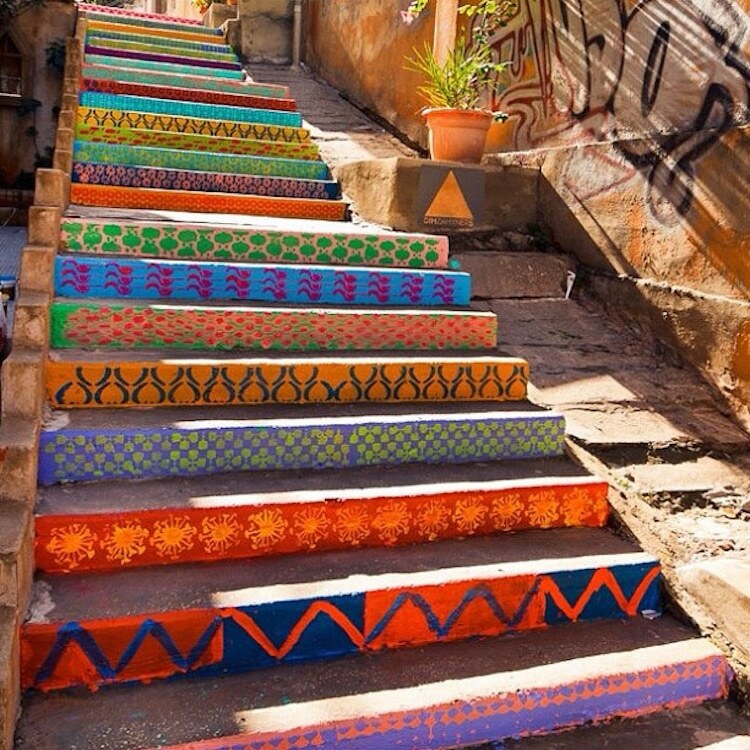 It has the incredible ability to turn the world into an outdoor gallery, but there’s one surface that’s often ignored: staircases. 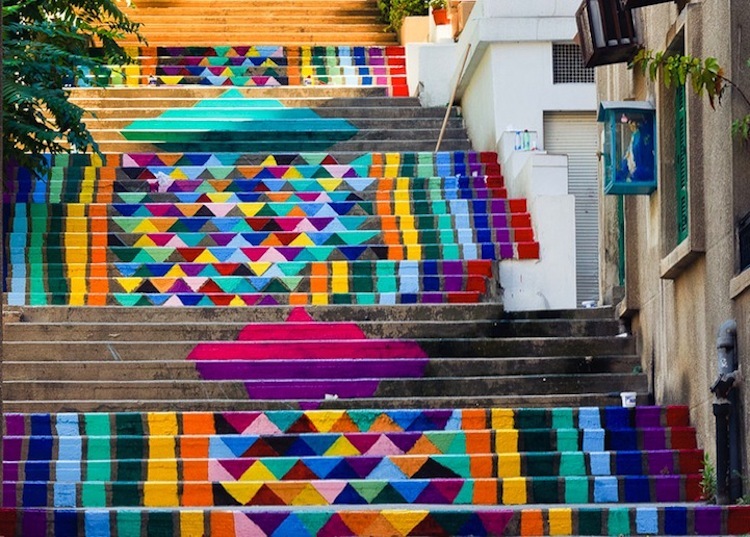 When painted, public stair art is a stunning and unexpected canvas for portraits, geometric patterns, and intricate mosaics. 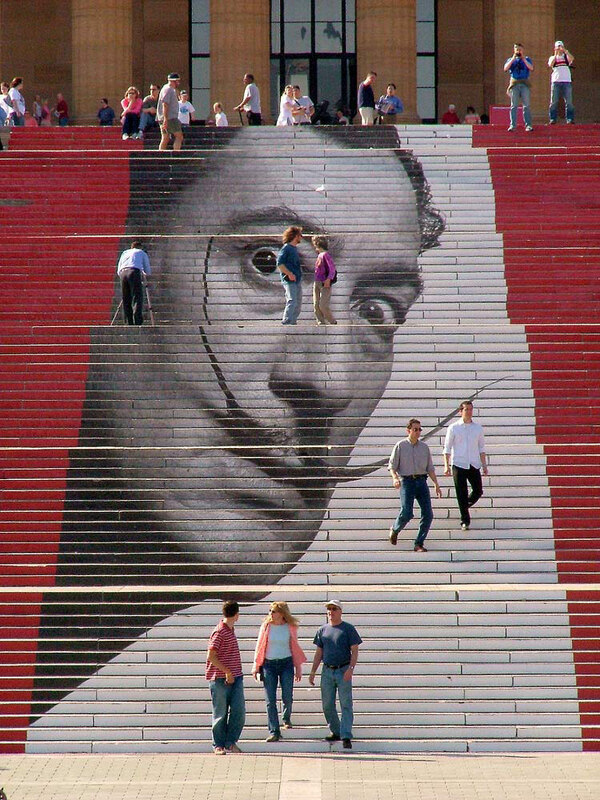 Each rise of a step is one fraction of a larger image. 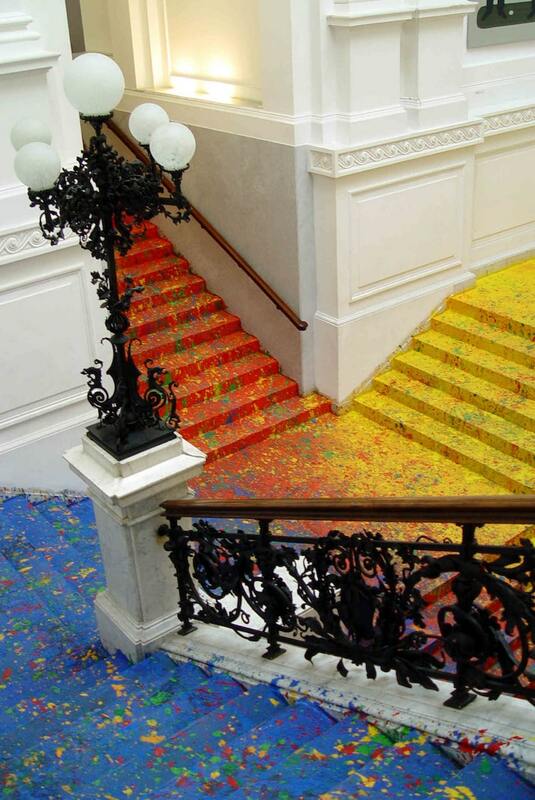 When viewed at the base of the staircase, the individual elements come together for an awe-inspiring effect. 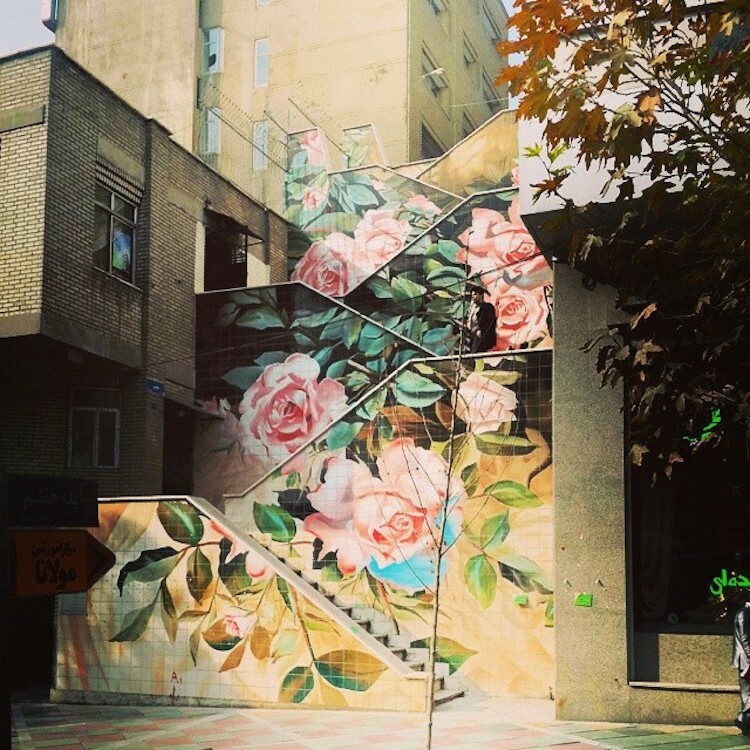 Just as artists have assistance when painting big murals, these types of stair projects are often completed through with the help of many people. 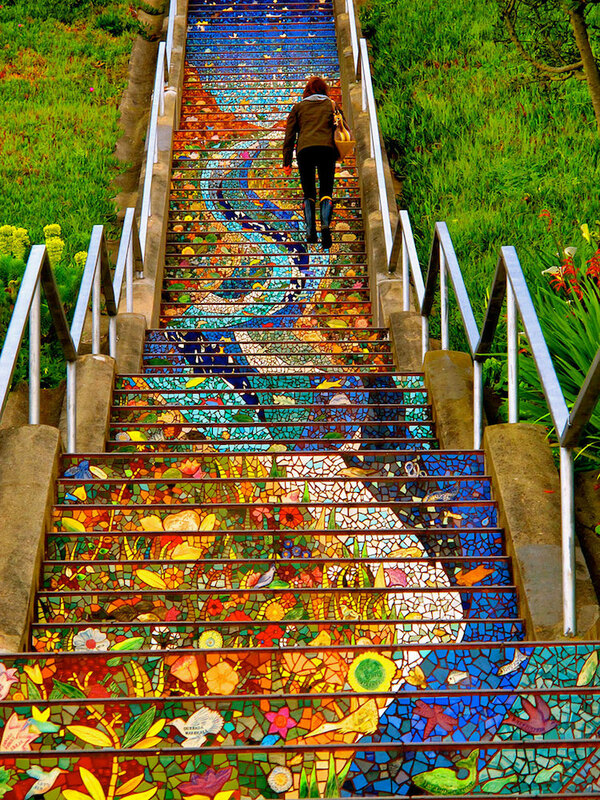 The 16th Avenue Tiled Steps in San Francisco, for instance, was a community effort. 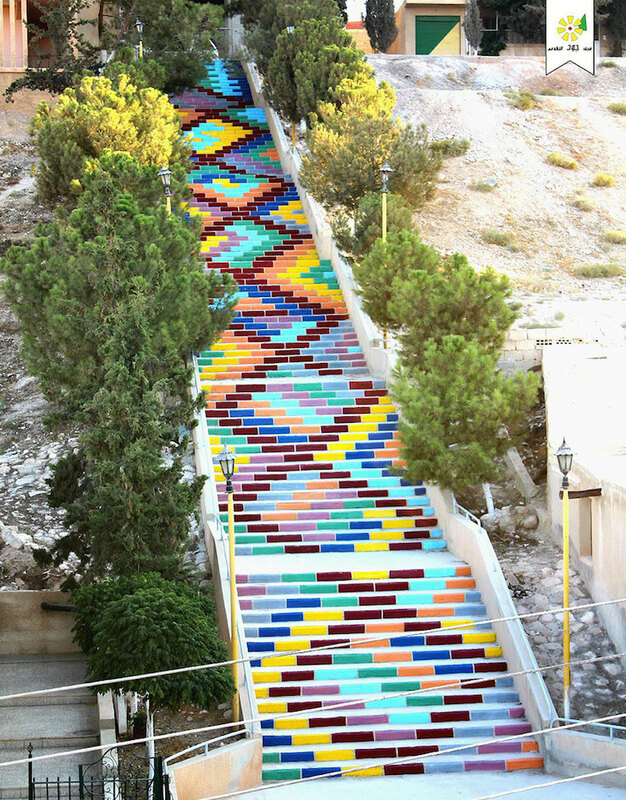 Ceramist Aileen Barr and mosaic artist Colette Crutcher worked with about 300 volunteers over a two-and-a-half year period to complete their project. 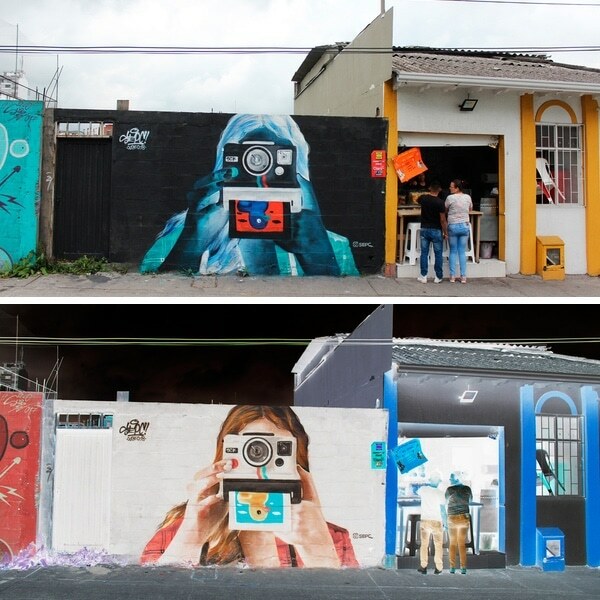 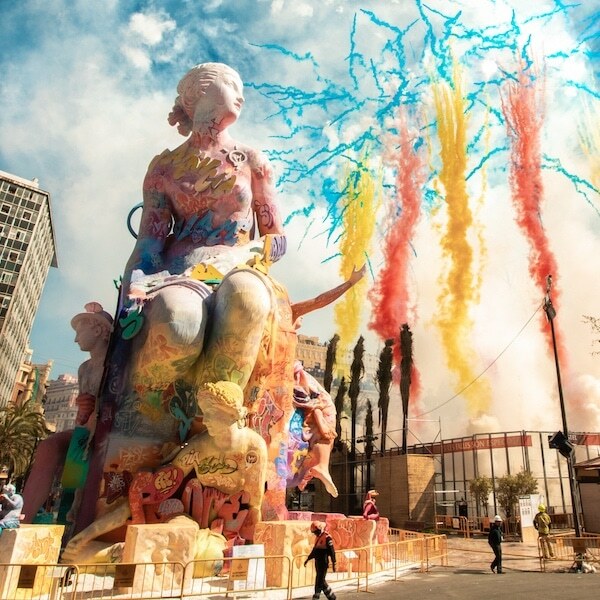 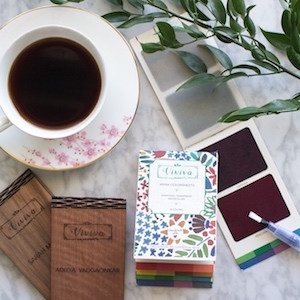 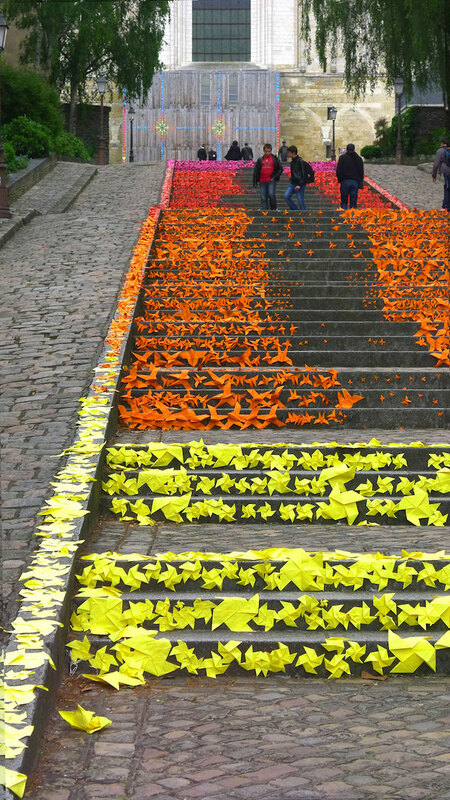 Likewise, a group of artists called Dihzahyners formed a project called Paint Up! 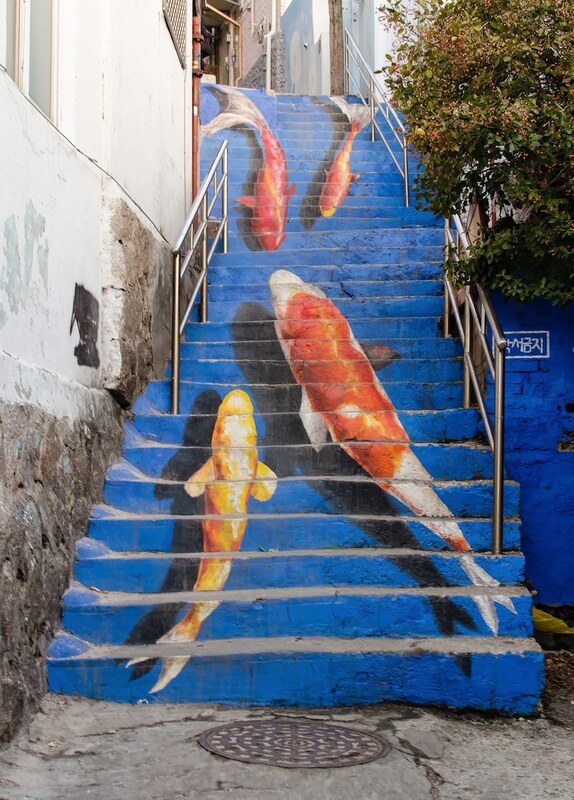 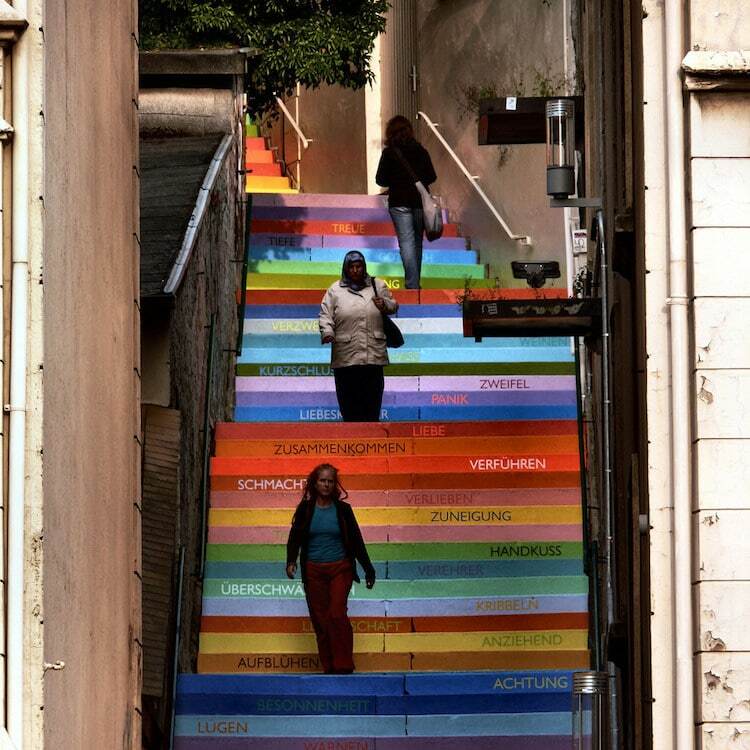 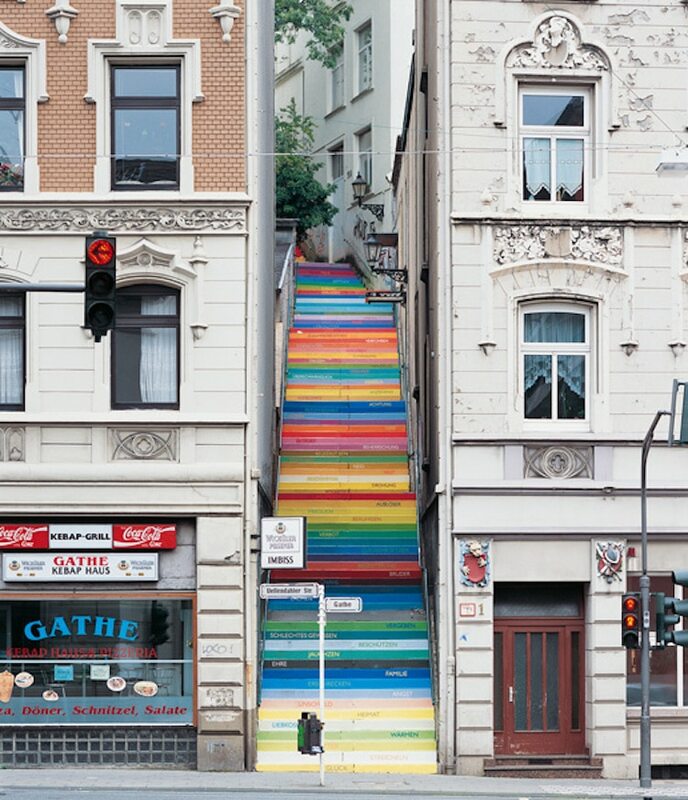 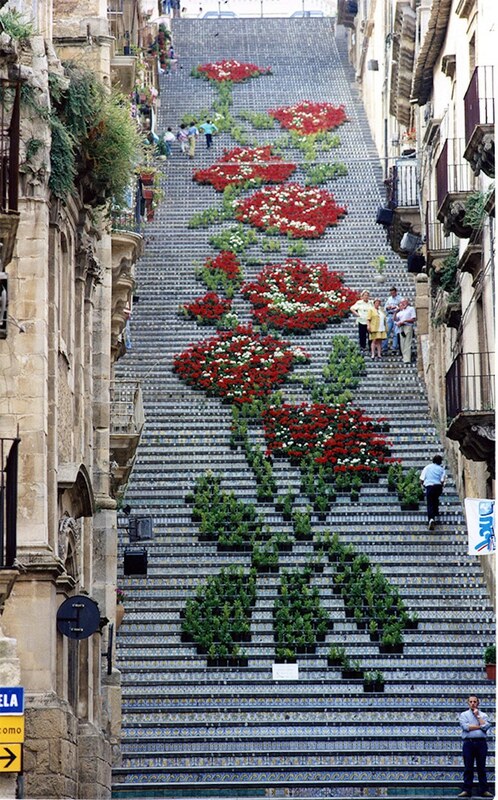 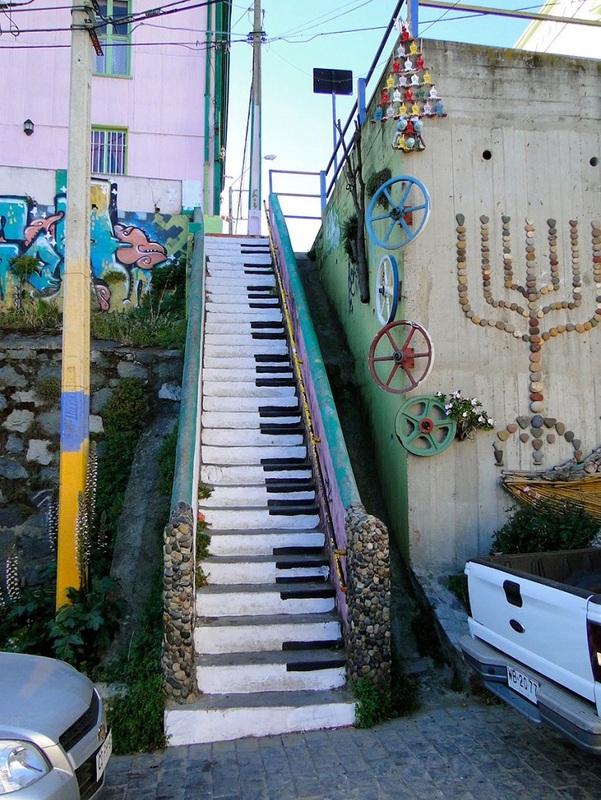 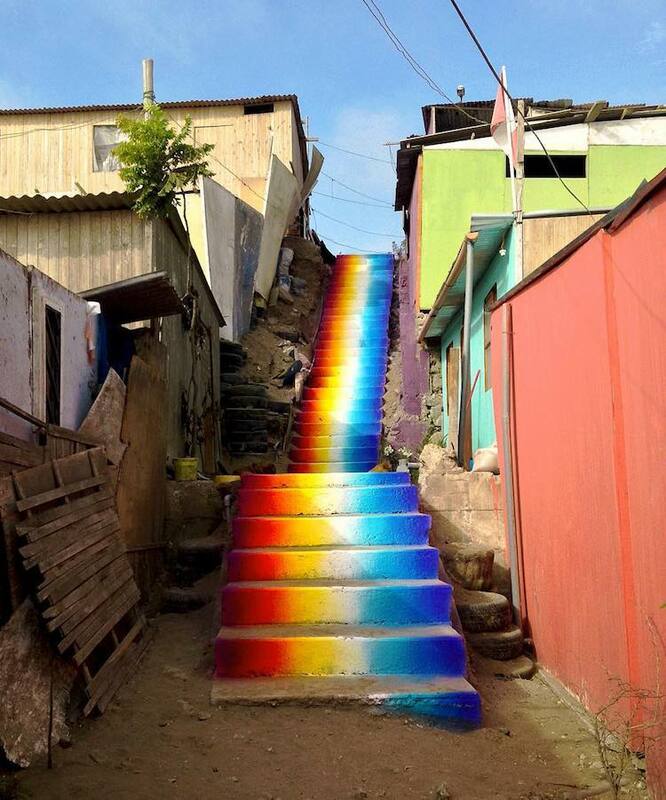 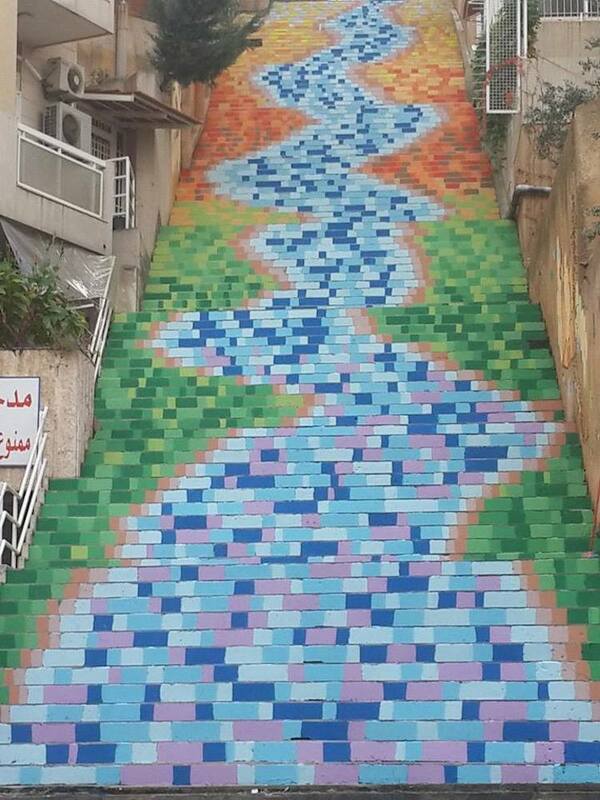 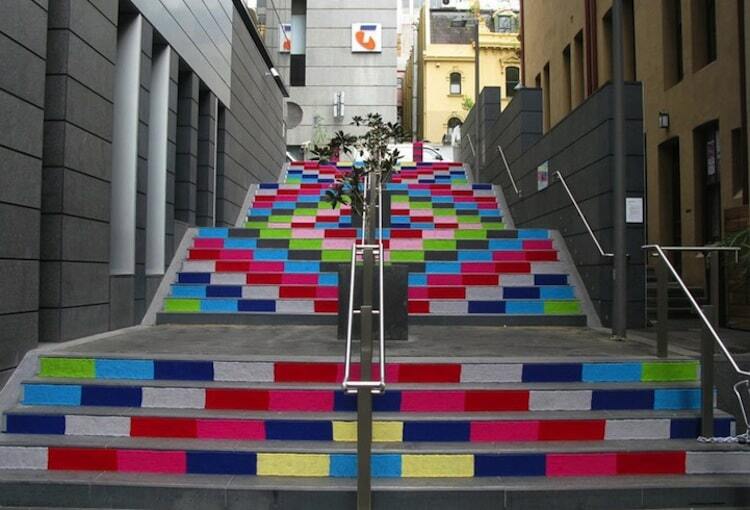 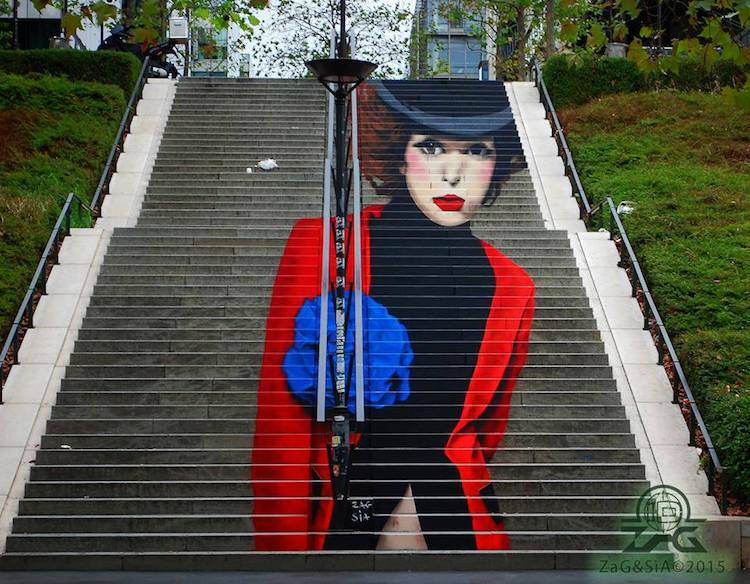 and used their creative abilities to beautify staircases in Beirut, Lebanon, one step at a time. 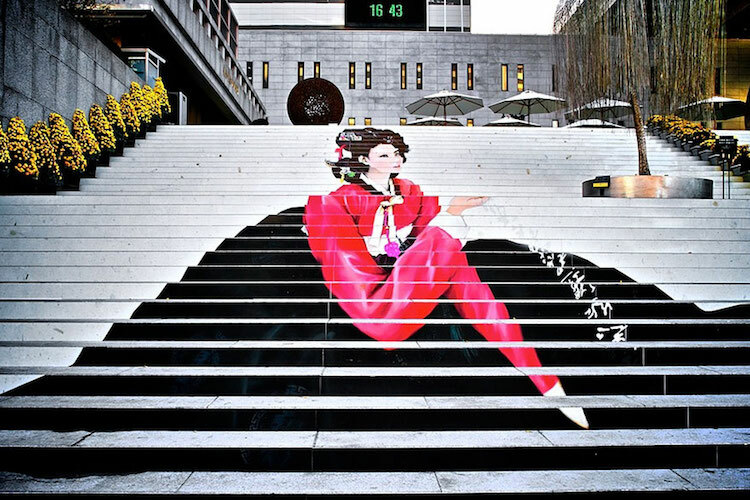 Here are 18 of the most stunning steps from around the world.